This past Sunday, we visited three churches. 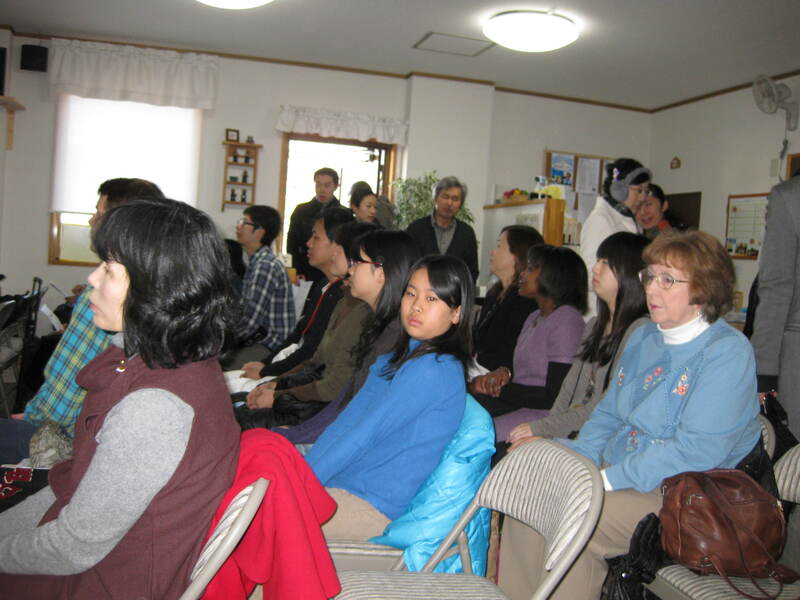 The first was International Bible Fellowship in Chiba, just an hour east of Tokyo. 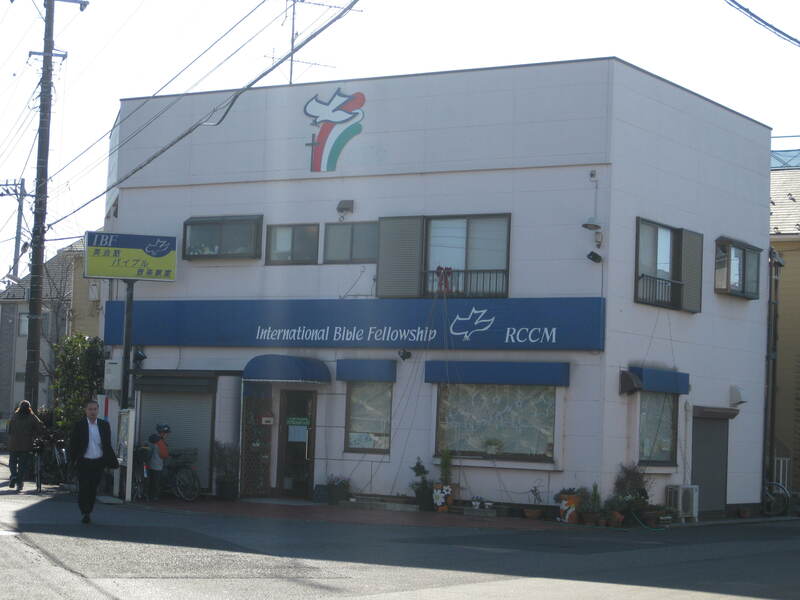 It is the most lively and dynamic church within the Japan Covenant Church. It has around 100 members (50% Japanese) and two services. As you can see, the room is packed with people from around 20 nations (i.e. Nigeria, New Zealand, Singapore, US….) and with different ages. They are successfully doing many things we hope to do in the long-term. First, the service is bilingual. It is attracting young Japanese who are interested in learning English. Second, they have a home stay program with a church in Idaho, where many young people visit and are either saved or become interested in church once they come back. This is a bilateral relationship, where Americans also come over and stay with non-Christians in the community. 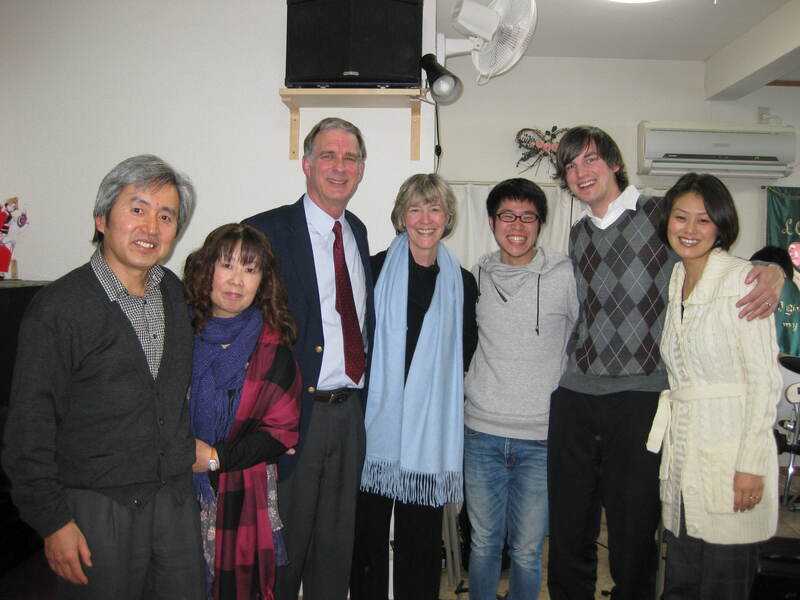 Finally, they planted a church, where the Hayworths (ECC missionaries) pastor, a few years ago an hour north of Tokyo. During the service, we had the opportunity to share our testimony and vision with them. Several people approached us after the service and expressed their excitement for our passion to serve God in Japan. It was certainly encouraging to see a successful model and how it is similar to what we dream about in the future. You can find out more information at their website: http://ibf.visithp.jp/e_index.shtml.